This article was last updated Oct 02, 2018, but some terms and conditions may have changed or are no longer available. For the most accurate and up to date information please consult the terms and conditions found on the issuer website. If you’re a frequent shopper at T.J.Maxx, Marshalls, HomeGoods or Sierra Trading Post, you’ll be interested to know there are two $0 annual fee credit cards that can earn you great rewards on your purchases. In this review, we’ll break down who should consider applying for a TJX Rewards® card, the rewards associated with each card, and alternative cards for department store shopping. If you’re an avid shopper at T.J. Maxx or any of one of their family stores — Marshalls, HomeGoods, and Sierra Trading Post — you can benefit from one of the TJX Rewards® cards. You earn rewards at a higher rate than other general-purpose cards that may only offer up to a flat 3% cash back on select department store purchases or 5% cash back for three months with a quarterly limit. Shoppers who should avoid this card include those who are prone to debt and tend to carry a balance from month to month since there’s a high 28.74% variable APR for both cards. T.J.Maxx offers two cards which are nearly identical — TJX Rewards® Credit Card and then the TJX Rewards® Platinum Mastercard. The TJX Rewards® Credit Card is a store card, meaning you can only use it at T.J.Maxx, Marshalls, HomeGoods, and Sierra Trading Post stores in the U.S. and Puerto Rico and online at tjxmaxx.com or sierratradingpost.com. In comparison, the TJX Rewards® Platinum Mastercard can be used anywhere Mastercard is accepted, allowing you to earn points on all purchases made with your card. TJX Rewards® Platinum Mastercard: Earn 5 points per dollar at T.J.Maxx, Marshalls, HomeGoods and Sierra Trading Post stores in the U.S. and Puerto Rico and online at tjxmaxx.com or sierratradingpost.com. Earn 1 point per dollar at Marshalls in Canada and everywhere else. For every $200 you spend, you’ll receive a $10 rewards certificate that is redeemable at T.J.Maxx, Marshalls, HomeGoods, Sierra Trading Post stores in the U.S. and Puerto Rico, as well as online tjxmaxx.com or sierratradingpost.com. Certificates expire two years from their date of issue. For both cards, there is a new cardmember offer where you can receive 10% off your first online or in-store purchase. The TJX Rewards® Credit Card and the TJX Rewards® Platinum Mastercard both have a high 28.74% variable APR. This is an extremely high-interest rate and can result in hefty interest charges if you carry a balance from month to month. As with all credit cards, we strongly recommend paying your balance in full by your due date to avoid interest charges and falling into debt. Try to resist the temptation to overspend just to earn rewards — that’ll only lead to trouble and negate any rewards you do earn. 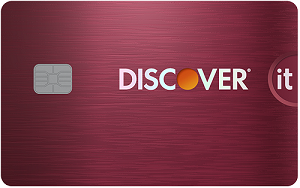 The Citi® Double Cash Card – 18 month BT offer is our top pick for a flat-rate cashback card, since cardholders can earn 2% cash back on purchases: 1% when you buy plus 1% as you pay. That’s a great rate when compared to other cards that may only offer 1% cash back on everyday purchases. 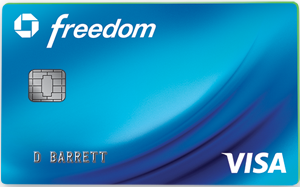 Plus, this card has a $0* annual fee and the Citi® Price Rewind feature — this allows you to register eligible items, and Citi will search for a lower price within 60 days from purchase date. If a lower price is found, you may receive the difference between the price you paid and the lower price. Some cashback cards offer rotating 5% cashback categories that can include department stores for one quarter of the year — typically around the holiday months. While these cards can provide you a high 5% cashback rate on eligible purchases, you’ll need to remember to activate the bonus categories. Also, take note the 5% cashback rate often is limited to $1,500 of spending a quarter before the cashback rate drops to 1%. The TJX Rewards® Credit Card and the TJX Rewards® Platinum Mastercard are great options if you shop at one of their four stores — T.J.Maxx, Marshalls, HomeGoods, and Sierra Trading Post. The rewards you can earn on purchases at one of those stores are unmatched by other cashback or rewards cards that lack a consistent 5% or 5 points per dollar on department store purchases. While this card can be good for some consumers, if you typically carry a balance month to month or don’t spend at T.J.Maxx, Marshalls, HomeGoods or Sierra Trading Post, you’ll be better off with one of the alternative cards mentioned above. Those cards have lower interest rates — ideal if you carry a balance — and more robust rewards programs. Is the SPG Amex the Best Travel Rewards Credit Card?